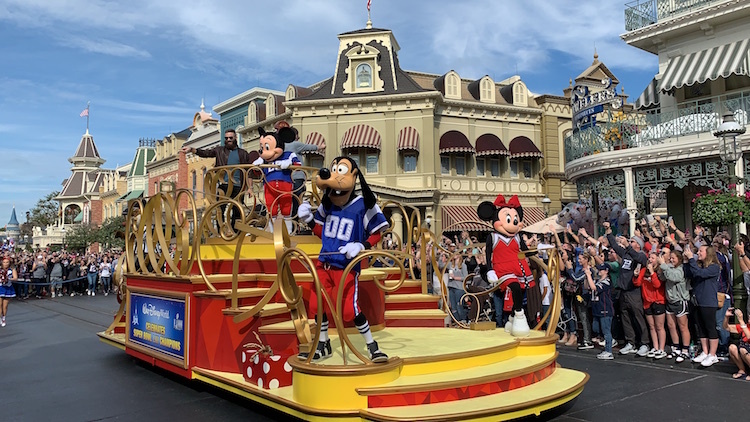 Today at 2:40 p.m. Tom Brady and Super Bowl MVP Julian Edelman made their way down Main Street U.S.A. in the Magic Kingdom to celebrate their team’s big win. 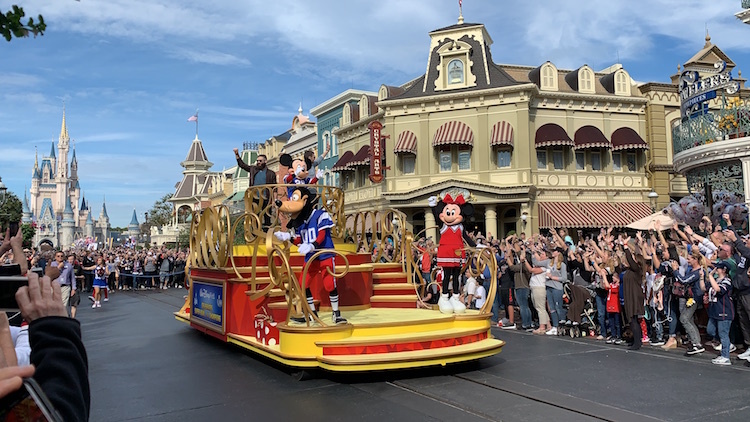 As I arrived to the Magic Kingdom it was immediately apparent that there were a lot of Patriots fans visiting the park for the celebration. Everywhere you looked there were Tom Brady, Rob Gronkowski, Julian Edelman, and other Patriots jerseys. 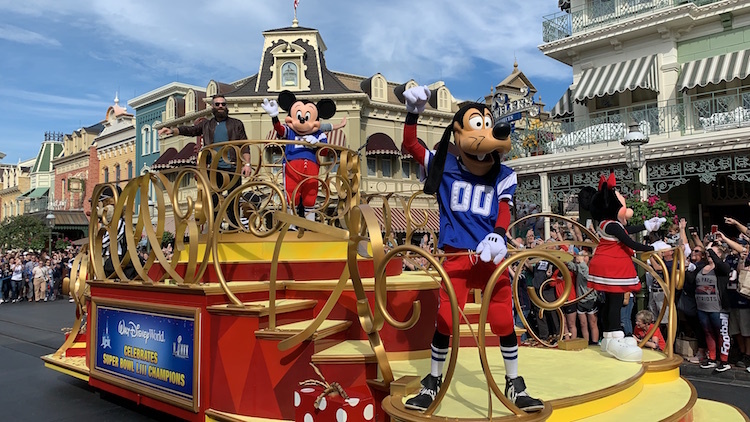 With so much excitement Patriots fans started lining up along the parade route about 3 hours early at 11:45 a.m.
Mickey, Minnie, and Goofy rode alongside Tom Brady and Julian Edelman, and generic Disney cheerleaders walked alongside. 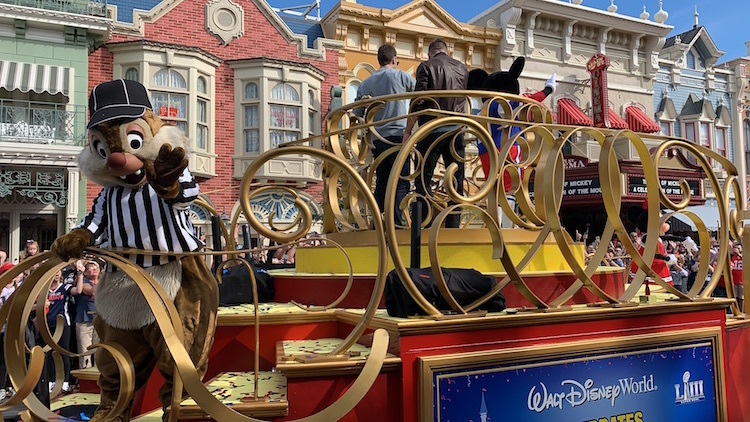 Unfortunately, the two stars weren’t switching sides on the float, so guests only had a good view of one of the two players. A huge crowd of people followed behind their float trying to catch another glimpse. 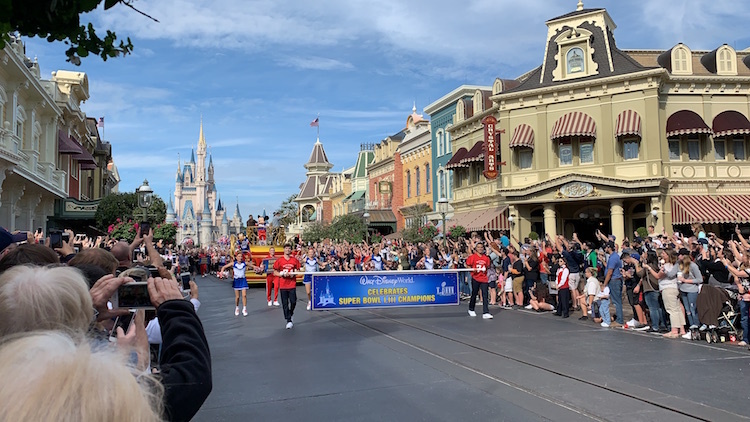 I imagine if I were a Patriots fan this moment would have been a little more magical, in fact, I saw the Penn State Blue Band march down Main Street U.S.A. and I was over the moon, so I understand the enthusiasm and extreme fandom.